Your Android device no doubt carries a lot of information. It would therefore be nothing short of a nightmare situation to find that you have lost all or some of that data. One of the major causes of data loss for Android users is usually accidental deletion and software issues. However you lost your data, you need an easy solution to get it all back. The ideal software should be easy to use, fast, effective and reliable. Below are the best 5 free Android data recovery software. Is one of them easy to use, fast, effective and reliable? This is a great solution to recover files that have not only been accidentally deleted but also those that have been lost after come kind of damage to the device. Using it is very simple, you only need the device, USB cables and the software. This software promises to recover certain files including contacts, messages, photos, videos, call logs, galleries and even documents. It may not always work. You need to use it as soon as your files are erased to maximize efficiency. This is another powerful android recovery tool that can be used to recover files lost by accidental deletion, default settings restoration or even faulty rooting processes. It is useful in the recovery of various files including contacts, messages, pictures and videos. 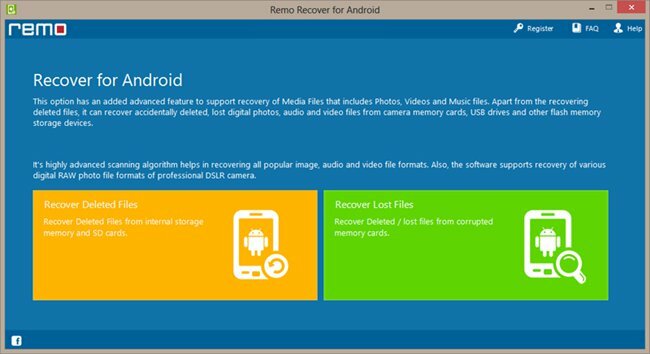 Remo recover will allow you to recover deleted files from your Android device. The major selling point of this particular software is that it can allow you to recover files from an SD card that has been formatted. You can use this application to recover files such as music, videos, images and APK files. 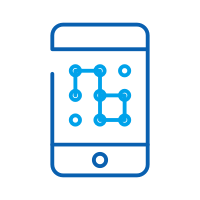 Unlike most other applications, it will verify both the internal memory on your device giving you comprehensive data recovery. It also saves the recovery session to avoid re-scanning of the device and therefore saves you a lot of time. This application is specifically designed to recover lost files including contacts, messages, call logs, photos and videos. 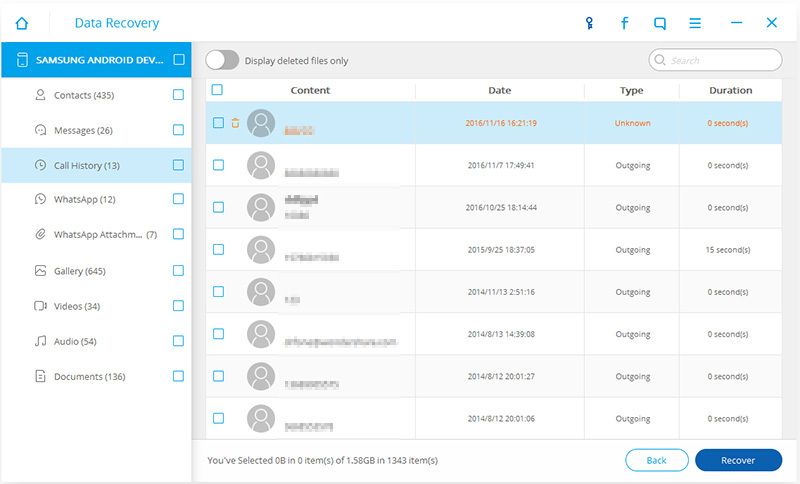 The software will easily scan your device and find all deleted files. 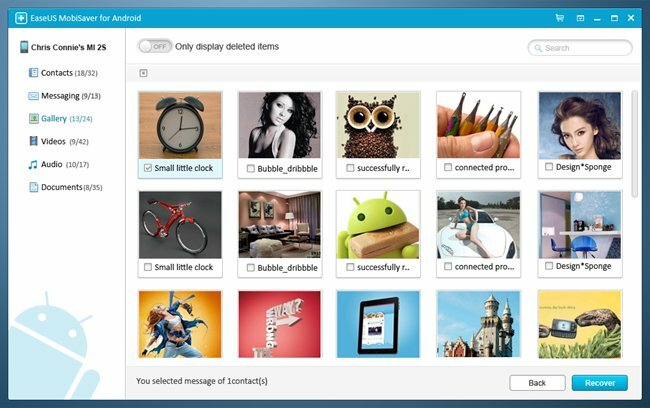 It has a feature that allows for automatic recovery and allows you to easily preview the files you want to recover. It is rather expensive when compared to other similar software. This one is one of the best in the market. The features that make it the best include the fact that it utilizes a very simple process. 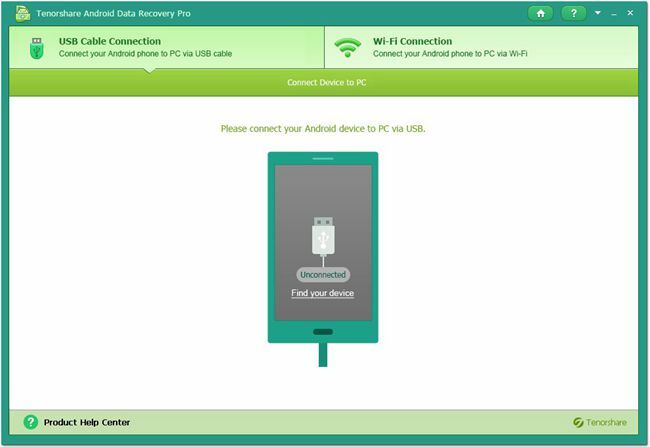 Anyone can configure and use Wondershare dr.fone for Android and recover a whole range of lost data. It can be used to recover all kinds of data including contacts, messages, WhatsApp messages, photos, videos, music, Call logs and many others. It supports up to 6000 android devices and all versions of the Android OS. Recover deleted data by scanning your Android phone & tablet directly. Allows you to back up the data on your Android device to avoid future data loss. 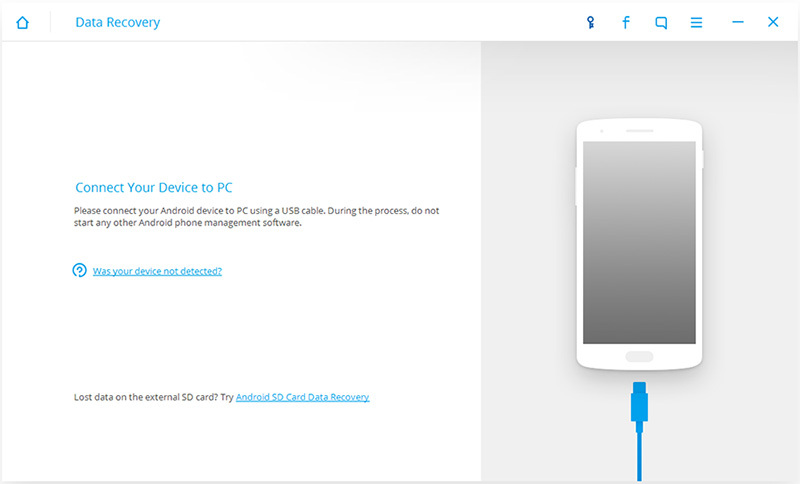 Wondershare dr.fone stands out as one of the best Data recovery software for Android users. We have seen that one of the reasons it is the best is because of how easy it is to use. To prove it, here’s how it works. Step 1: once you have downloaded and installed Wondershare dr.fone for Android on your PC, the first step is to Launch the program and then connect your device using USB cables. Step 2: The next Step is to enable USB debugging. 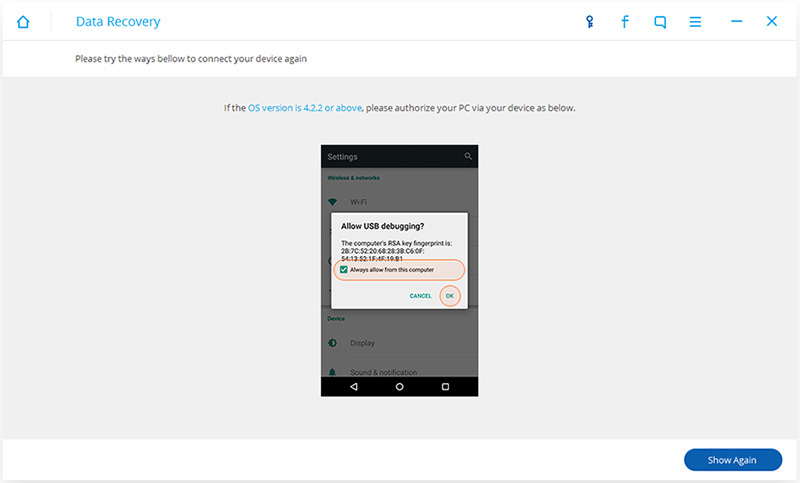 This is usually done in order to allow Wondershare dr.fone to recognize your device. In the next window, Wondershare dr.fone will provide you with the instructions to do this. Step 3: Depending on the type of files you want to recover, the next step allows you to scan only selected file types. This saves time. Click on “Next” once you have made your choice. Step 4: A new popup window will appear requesting you to select the scanning mode. You can choose between the standard mode and the advanced mode for deeper scanning. Click on “Next” to continue. Step 5: Once the scan is complete, all the deleted files will be displayed in the next window. Choose the ones you would like to recover and click on “Recover”. Wondershare dr.fone for Android is that easy to use, fast, effective and reliable. As much as you should take good care of your data to prevent loss, technological advances including the software described above ensure that you have a solution even when you do lose the data. 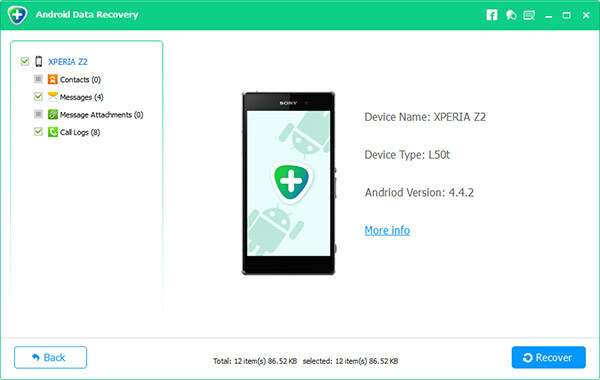 Do you want to install android custom recovery on your device? 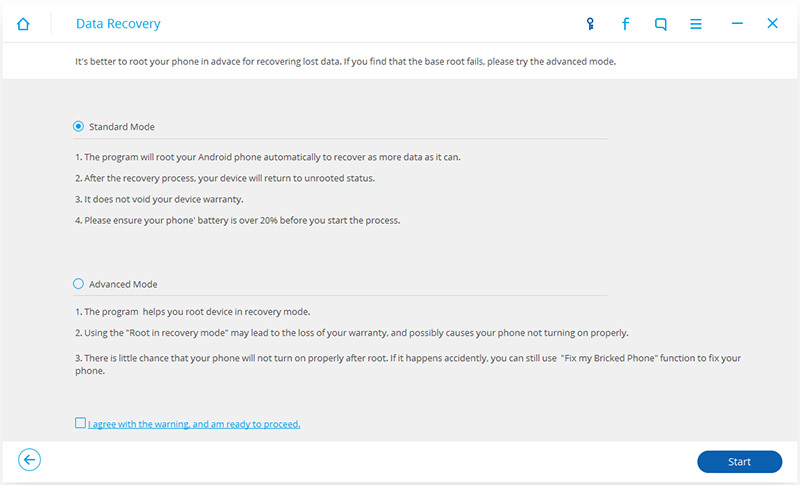 Here's how to install android custom recovery.